Jesus came full of grace and truth. Full of is “pleres” in Greek which means abounding in and completely occupied with. 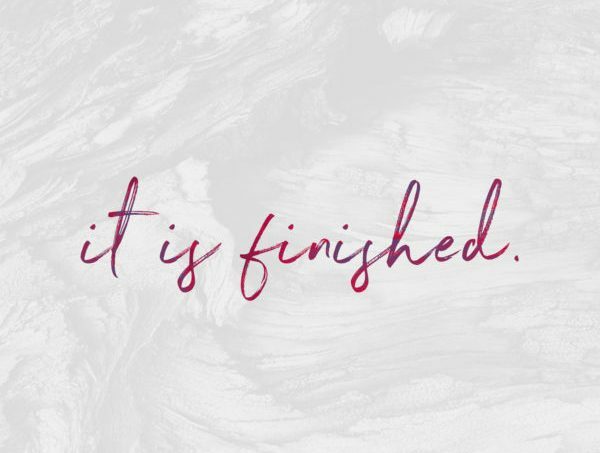 Grace is “charis” which means bowing down favorably toward us… it’s also the Old Testament equivalent of “chesed” which is God’s covenant loyalty toward us (see the last blog post Goodness and Grace). Chesed (grace) is His love that will not let us go! And truth is “aletheia” which is not just truth spoken but the reality of truth.. truth revealed. Summed up, Jesus came abundantly and completely occupied with bowing down favorably toward us… He came abundantly and completely occupied with showing us God’s covenant love toward us and revealing to us the reality of the Father… what He’s like… that He’s a good Father to us all the time. He was completely occupied with reconciling us back to the Father!! He was consumed with revealing to us the true realities of the Father’s love. The Word, the Son, who is God, became flesh to reveal a divine glory that is “full of grace and truth.” The Word of God became flesh to be gracious to us. The Word became flesh so that this graciousness to us would come in accord with God’s truthfulness. Paul put it like this in 1 Cor 4:4 “The god of this world has blinded the minds of the unbelievers, to keep them from seeing the light of the gospel of the glory of Christ, who is the image of God.” The glory of Christ is the image of God, our Father. Verse 18 says although no one has ever seen God, Jesus has revealed Him and made Him known to us. Our Father is full of grace and truth all the time. Verse 16 tells us that we have received “out of this fullness” grace upon grace! We’ve received an abundance of grace. Sometimes I get preoccupied with the demands of my life… motherhood, being a wife, family time, making a home, friendships, our business, etc. and don’t make the time to be completely occupied with Him…. completely occupied with His love and allowing that Love to flow through me to the world around me. Completely occupied with the truths and realities of what my Father really looks like…. and showing others what our Father looks like. Not completely occupied with being a walking, talking manifestation of His extravagant grace. Being full of grace makes me more pleasant to be around. I’m not pointing out others faults or weaknesses but rather helping them to look to the One who can pour out His grace upon them. Being full of grace causes me to encourage and walk along side those around me. It makes me realize that apart from Him I can do nothing because in Him I live and move and have my being. 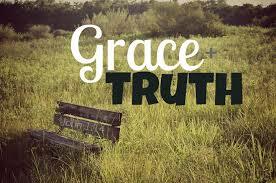 I have become more occupied lately with learning about grace and the truths or realities of my Father. The more I learn, the more it replaces old mindsets… the wrong perceptions of who my Father is and what He’s like. And the more revelation I get, the more I become a walking epistle for a hurting world to read…. because isn’t that truly what we all want… for the world to come up and grab our coat tails and ask us how they can have a life like ours… one that is victorious, peaceful, loving, and full of grace and truth. For them to look at us and not see us but to look into our Father’s eyes and experience His truth (realities) and His grace (chesed). And then we get the honor of directing them to the One who can give them life more abundantly.